Mac users can take photoes in Mac with “Photo Booth”. It works with Mac and Linux via Plug and Play but not measure in Mac and Linux system. “Photo booth” is the system pre-installed software by Mac. If no, please download and install it. 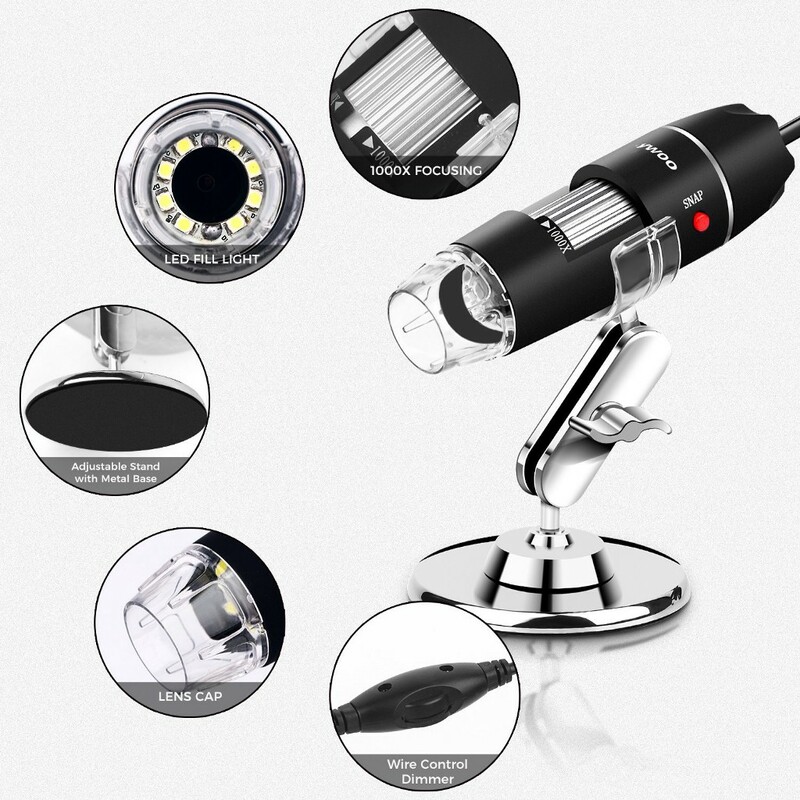 The USB Microscope works with Windows XP, Vista, Win 7 32 bit and 64 bit,Win8,Win10 . 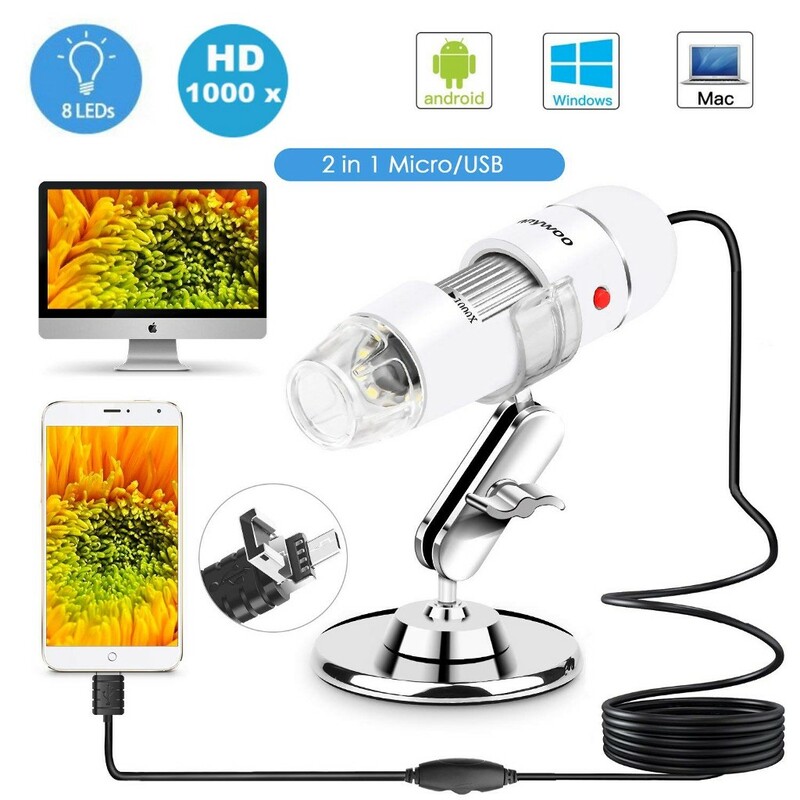 Plug it into a spare USB 2.0 port and it requires no external power, like a default webcam software on your computer. Software named “Amcap”, install it from the CD or download it from the link on the instruction book. 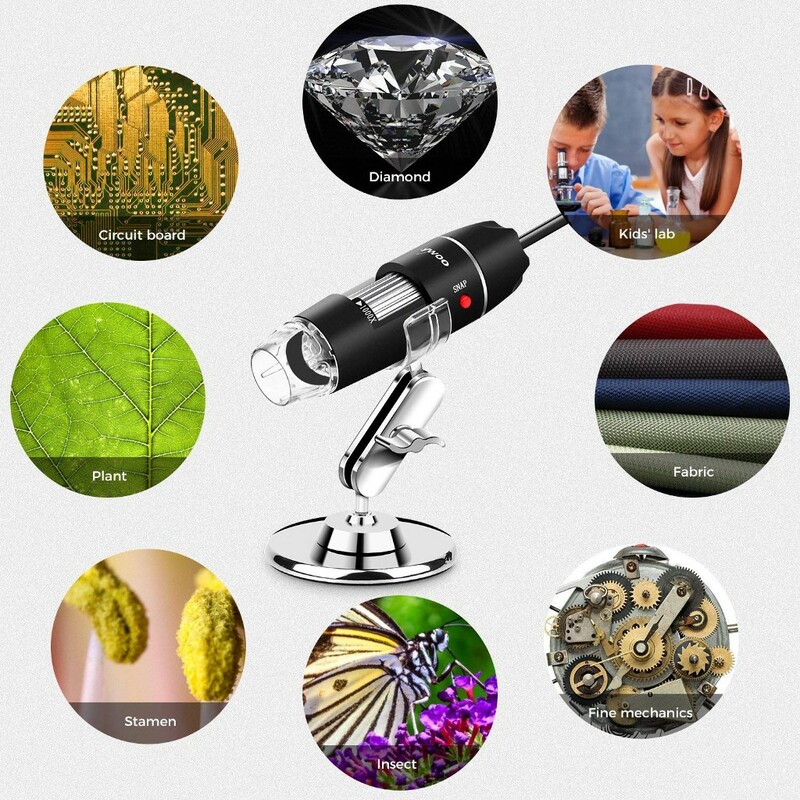 USB Digital Microscope is good for Inspection dissection/examination, Plant dissection/examination, Skin examination, Scal examination, Textile Inspection, Jewelry Inspection,Collections/Coin Inspection,Printing Inspection,PCB or PCBA Inspection and so on. 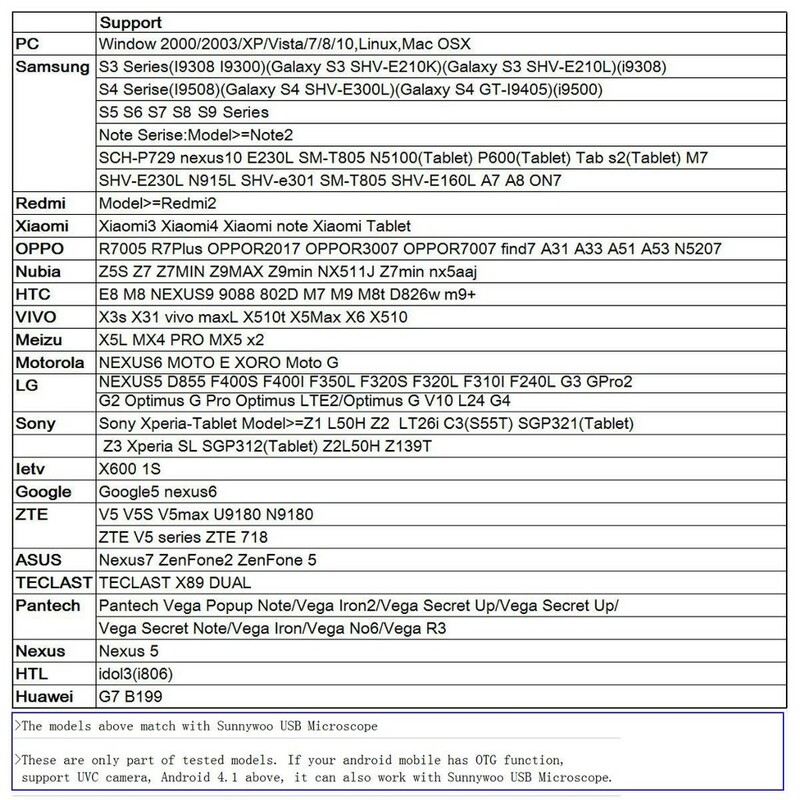 Compatible with Mac, Window XP and above, Linux. 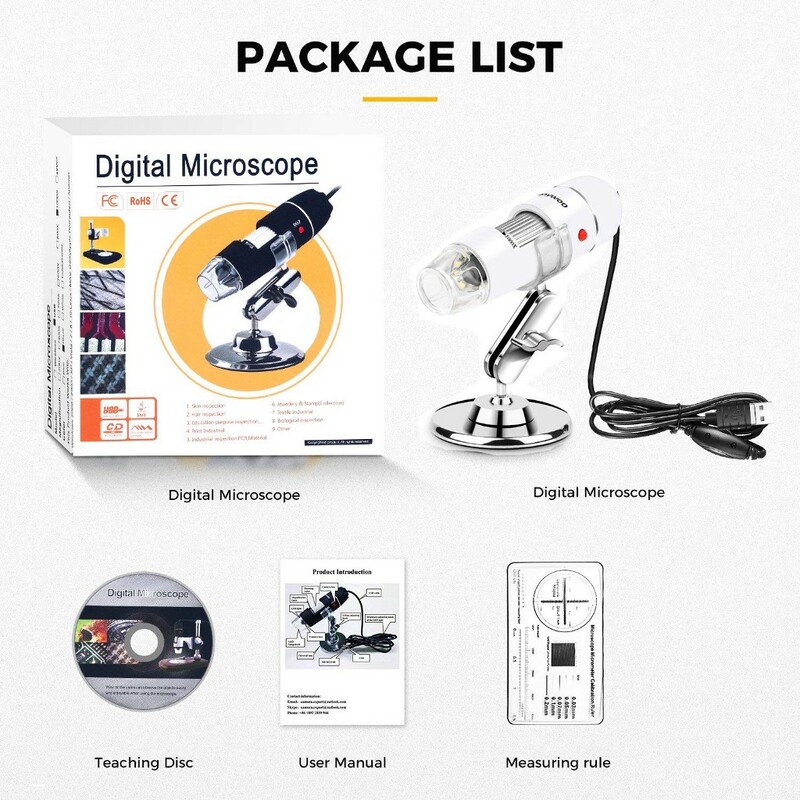 This microscope doesn’t work with iPhone cellphone.